David Olagoke Olawoyin is a Christian writer and Bible expositor with a unique insight into the biblical promise of the Millennium and the millennial kingdom. 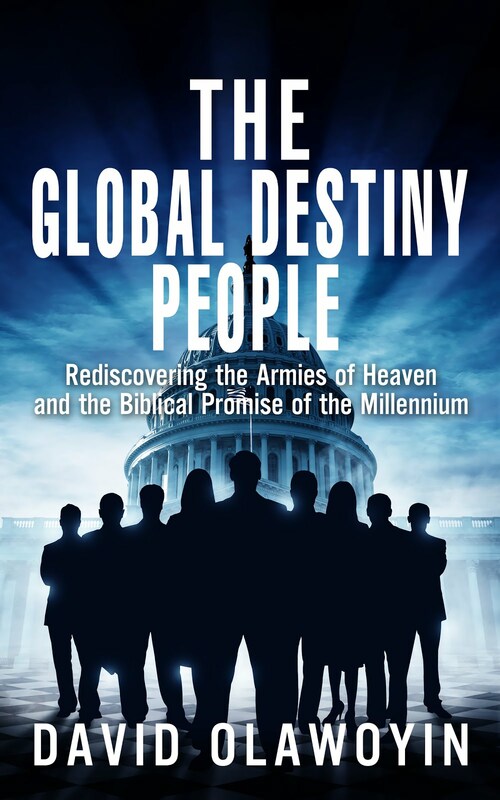 He is the author of The Global Destiny People: Rediscovering the Armies of Heaven and the Biblical Promise of the Millennium, a critically acclaimed book that presents a groundbreaking perspective on the millennial kingdom, with an emphasis on the believer’s glorious place in it. After obtaining a first degree and postgraduate certificate in engineering and several years of in-depth biblical studies – which date back to his undergraduate years, at which time his prophetic insight into the Millennium also began – he made a commitment to Christian writing and ministry and entered seminary to pursue a Master of Divinity degree. He, however, found the environment and program of that particular institution unsuitable for his circumstances and aspirations and later opted for a more specialized course emphasizing Biblical Prophecy at The National Bible College, United Kingdom. You can follow David Olawoyin and his message on his Facebook page The Kingdom Herald – David Olagoke Olawoyin, or on Twitter. You can also join his Facebook group Kingdom Citizens Congregation or simply be friends with him on Facebook.